The euphoria, heightened passion, long queue witnessed to watch first ODI between India and lowly placed West Indies team in the newly constructed picturesque, sprawling Barsapara stadium on October 21 last highlights the genuine sports-loving nature of the residents of Guwahati and Northeast. In fact, huge congregation of connoisseurs of sport has invariably been witnessed since time immemorial whenever quality sporting events have been organized in Guwahati. No wonder therefore, Sarusajai stadium in Guwahati was selected as one of the six venues by FIFA to host the prestigious Under-17 FIFA World Cup soccer, 2017. 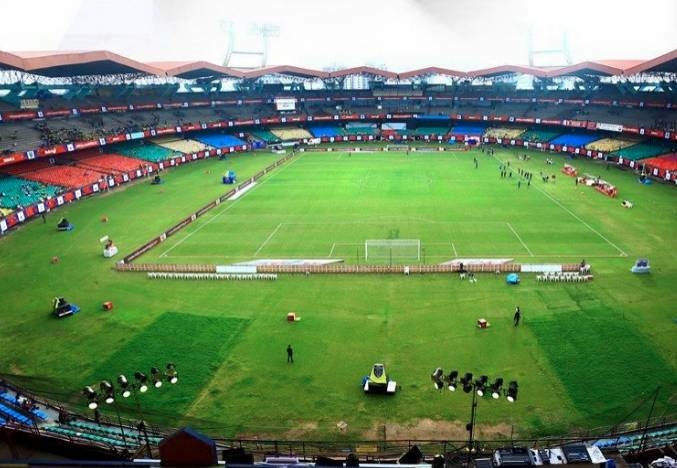 Javier Ceppi, tournament director of FIFA Under-17 World Cup had informed that ‘Kolkata and Guwahati have seen the biggest spike in ticket sales’. A couple of years back, the 12th South Asian Games (SAF Games) was held here successfully. No wonder that in recent times, effort is on to make Guwahati the ‘sporting capital’ of India. 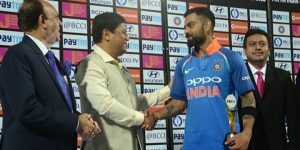 The Guwahati cricket lovers had their money’s worth having witnessed scintillating batting performance by both India and West Indies on October 21 last. The under rated Caribbean team had put up a mammoth 322 runs, thanks to, Shimron Hetmyer scoring a century pulverizing Indian bowlers well and truly. Apprehension of Indian supporters at such big score was quickly nullified by captain Virat Kohli and his deputy Rohit Sharma scoring centuries as India made mince meat of the target of 323. While the first day-night ODI encounter at Barsapara has been runaway success, let us look back at a few memorable ODIs played at Nehru stadium, Guwahati before this historic ground gets buried in the pages of sporting history. It would be an interesting piece of information that Lance Klusener, once a great South African all rounder, had shot into prominence in the international arena on the strength of his swash buckling knock in the one-day International encounter against Australia played at Nehru Stadium, Guwahati, in Titan Cup, a three nation ODI tournament, on November 1,1996. The capacity crowd witnessed the two foreign teams compete each other and their love for the game was adequately rewarded. Lance Klusener’s magnificent 88 runs helped South Africa get past Australian score of 239 runs easily. The new-born all rounder, Lance Klusener, had offered distinguished service to his home team for a decade or so. While the first ODI was played in Nehru Stadium, Guwahati, on December 13, 1983, between India and West Indies in which India suffered a humiliating defeat. 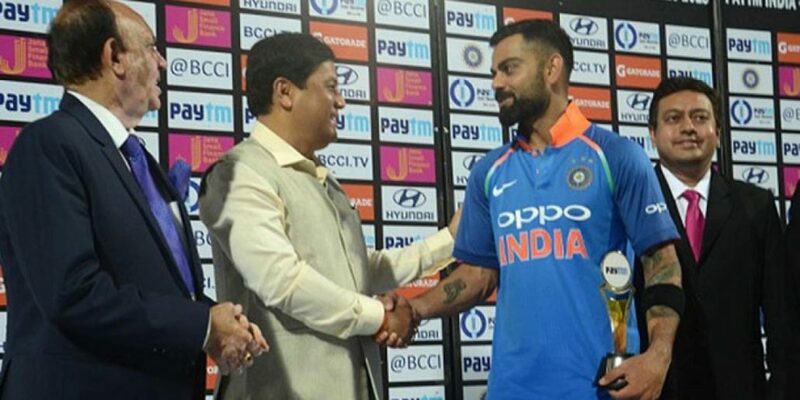 The next ODI between India and Sri Lanka is still fresh in the memory of genuine cricket lovers for the superlative batting displayed by the legendary Sunil Gavaskar. On a typically cold January morning in the year 1987, India took on a strong Sri Lankan team that had the players of the calibre of Arjuna Ranatunga, Aravindo D’Silva, Chaminda Vyas and others. Capitalizing the turning track, Indian spinners specially, Maninder Singh, Ravi Sashtri etc did not allow any liberty to the Sri Lankan batsmen barring Aravinda D’Silva and bundled them out for a paltry 145 runs. Chasing the small target, India lost two early wickets and the game was thrown wide open. But the batting maestro, Gavaskar, showed his class, displayed high technique to combat spin bowling on a turner and in the company of Vengsarkar helped India win the match convincingly. Gavaskar’s unbeaten 70 runs, scored on a difficult pitch, was a feast for the eyes for the Nehru stadium crowd. Among the other memorable matches played at Guwahati, the ODI played on November 5, 2007 is worth remembering. This was an encounter between India and its arch-rival Pakistan. The entire city, nay the state, was surcharged with excitement long before the match actually had commenced. The Pakistan team with all its stalwarts like Shoaib Akhtar, Shoaib Malik , Younis Khan etc was a formidable opposition. Bating first, the Pakistan team had put up a challenging score of 239. The beginning of the run chase by the Indians was disappointing loosing the valuable wicket of Tendulkar early. Sauruv Ganguly bated brilliantly and his characteristic offside shots were cheered by the knowledgeable crowd. After Ganguly’s departure, M S Dhoni and Yuvraj Sing batted brilliantly and scored 63 and 58 runs respectively to steer India to a memorable victory. 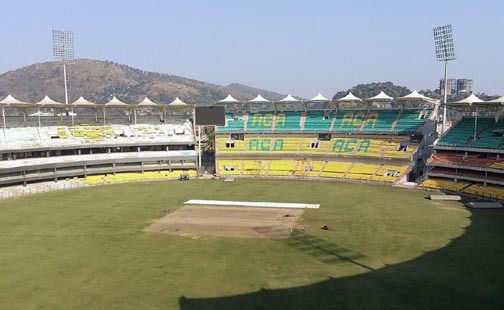 Nehru Stadium, Guwahati, has hosted 14 ODIs, out of which two matches were abandoned due to extraneous factors. It has been a lucky ground for Team India having won six matches comprehensively. 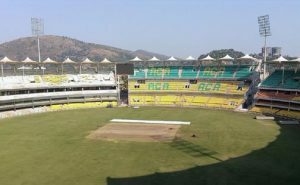 With the establishment of Barsapara cricket stadium equipped with modern amenities, possibility of Nehru Stadium holding international matches in near future seems to be remote. Further, with the steady decline in popularity of much vaunted Bordoloi Trophy, the sight of congregation of enormous numbers of sports lovers in front of this historic stadium with all its pristine glory is slowly being receded into background. However, the Nehru Stadium will continue to provide enormous joys in the minds of veteran sports lovers, whenever memories of the magnificent games they had witnessed here flash in their minds.